Llançà is on the northern part of the Costa Brava and has excellent transport links by road, thanks especially to its proximity to exit 4 (Figueres) of the AP7 motorway, and also by train, since it has a railway station on the Portbou to Barcelona line.Nowadays, this line connects Figueres with the new line of TGV (that links Catalonia with France). It should be noted that Llançà is one of the few towns on the Costa Brava that has a train service. 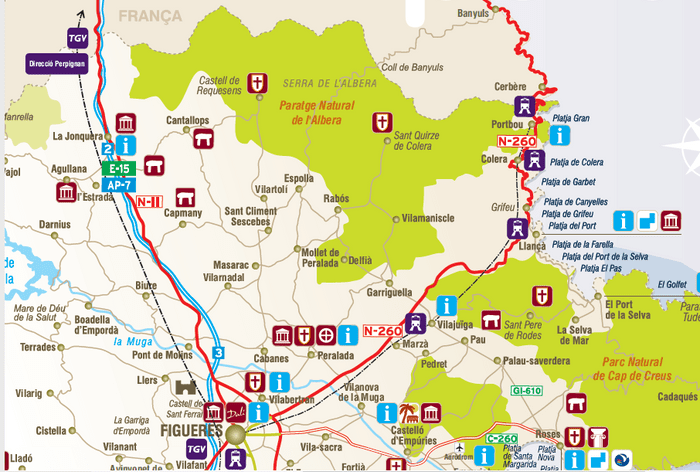 Leave the AP7 by exit 4 at Figueres (25km from Llançà), immediately afterwards follow a section of national road N-II, and then turn onto the N-260 which leads directly to Llançà. From Barcelona or Portbou-Cerbère Take the local line from Barcelona to Portbou and Cerbère. The main stops on this line are at Figueres, Girona, Sant Celoni, Barcelona (Passeig de Gràcia) and Barcelona (Sants). 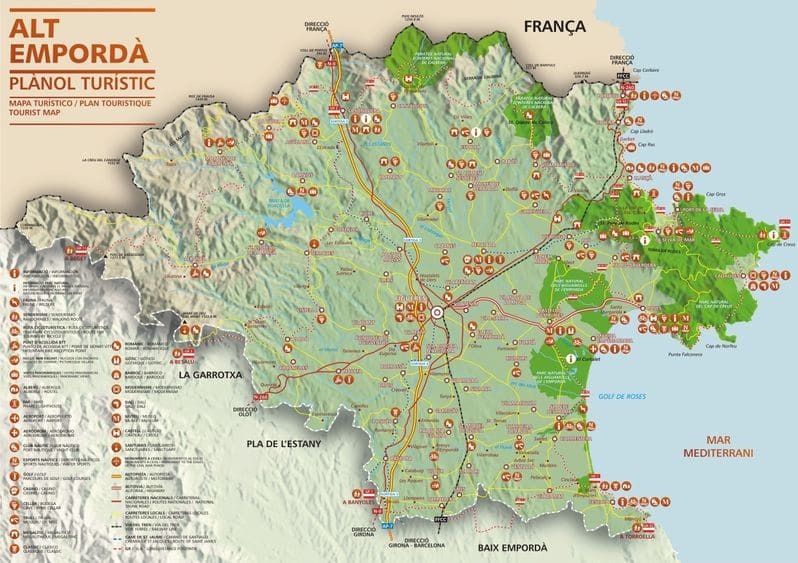 From Portbou and Cerbère it is possible to make a connection with the French railway service. From Madrid By the “Estrella Costa Brava” service Take the line Madrid – Guadalajara – Zaragoza – Tarragona – Barcelona – Girona – Cerbère. - By taxi (costing approximately 85 euros). - Go by taxi to Girona railway station and take the Barcelona-Portbou train (stops at Llançà). 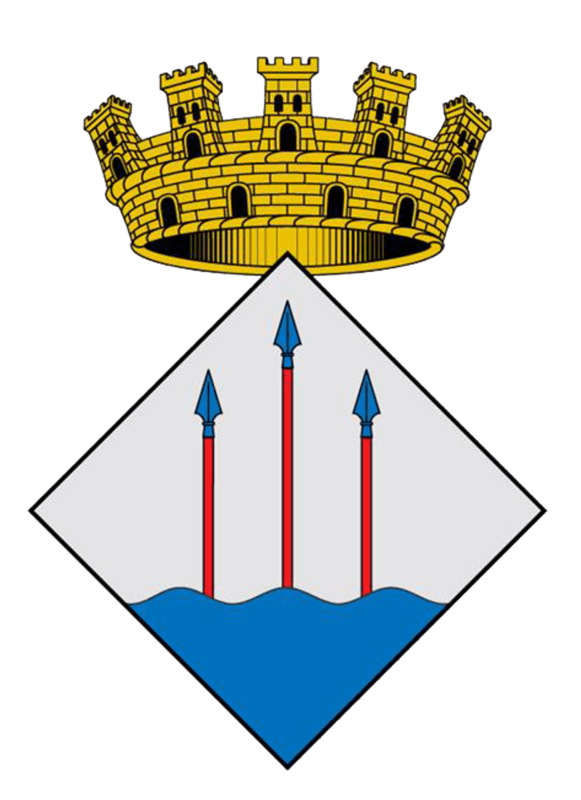 - Take a bus from the airport to Figueres, then take a taxi or a train (the station is right next to Figueres bus station). - Directly at the airport take the local line to Barcelona (Sants) and then the line to Portbou.